Families are invited to play, create and learn at Walton Arts Center Then stay for the imaginative tale of You and Me and the Space Between by Terrapin Puppet THEATER. Free arts & crafts, puzzles, games and interactive learning stations will be set up throughout the lobby with a fantastic group of community partners. These partners are committed to the ideas of culture, sustainability, climate change and reducing our global footprint! Make a night of it and stay to see You and Me and the Space Between. the play tells the story of a young girl who FInds a way to save her imperiled island home. From the imagination of one of Australia’s most accomplished children’s playwrights comes a tale of wonder and invention. Storytelling, choreographed projections and live drawn animation explore the plight of refugees fleeing environmental change through the eyes of a child. Step inside a picture book with an artist and storyteller, amidst a paper set that’s cut, ripped, patched and manipulated live to create a world of play. Best for ages 7+. Tickets are just $9. 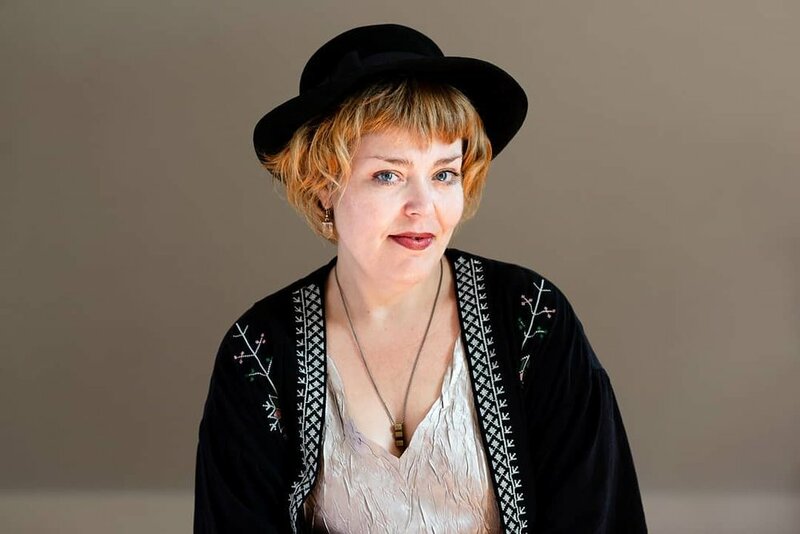 Erika Wilhite is a voice over actor, immersive theater artist, producer, playwright, director and dramaturg. She founded Artist’s Laboratory Theatre (ALT), a community-centered, site-specific theater in Northwest Arkansas whose mission is to embolden and empower individuals as “change agents” through theater and storytelling. “We love using a local actor to narrate the story, because we want the children to hear the story in their local dialect or accent, so it is more personal for them,” said Sam Routledge, artistic director for Terrapin Puppet Theatre Company.